Bill Maher’s brilliant new documentary “Religulous” starts precisely where it should: Megiddo, Israel, the supposed ground zero for The Second Coming. Here, Maher begins his story, then soon decries religion as an attempt to sell “an invisible product.” While Maher admits he is promoting the “gospel of doubt,” the faith community is promoting “certainty,” a certainty in phenomena that can’t be supported by proof or empirical reasoning. This is all to be expected, and Maher, if you’ll excuse the phrase, is preaching to the choir. But then he does something unexpected: He interviews his mother and sister. In the process, we see baby and childhood photos of Maher, and so this early section of the film has the effect of dimensionalizing — and humanizing — our protagonist. Utilizing old movie footage in quick, savage cuts, the rhythm of the film never flags, as Maher travels the world, pointing up the absurdity of magical thinking. But it’s not just about the absurdity. 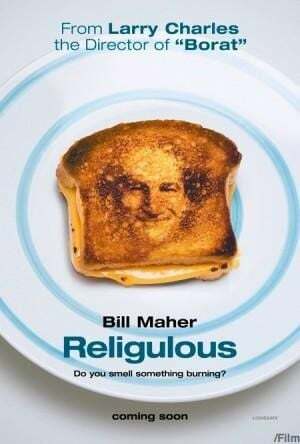 Maher’s premise is that fanatics of religion are actually hastening the Endtimes by violent, religion-based conflict as well as global warming due to anthropogenic antics. All this points to Maher’s plea for agnostics to “come out of the closet.” Sixteen percent of those polled in the U.S. say they are “unaffiliated” with any religion — i.e. agnostics or atheists, an “untapped minority,” says Maher, unaccustomed to lobbying Congress. Perhaps that’s the problem. Those of us who do traffic in doubt, and I count myself among the agnostics, don’t necessarily have the collective single-mindedness essential to mount a social movement. “Religulous,” then, becomes a kind of rallying cry — especially now, when our country’s political leaders in a campaign season have to extol God to bless the USA at the end of every speech, like some kind of automatic tic.